The demands of today's fast paced lifestyle can take a toll on our bodies. At AMBA we understand the difficulties in creating the time for one self, and through our combination of Spa services, our aim is to provide relaxation and rejuvenation, along with treatments and therapies which offer a restorative approach to wellness. We are able to give our clients service excellent, maximum attention for your time spent with us, and the perfect oasis to rejuvenate your mind and body. The ambience at AMBA Health & Beauty Spa provides guests with a one-of-a-kind experience in rejuvenation and relaxation. Not only can guests enjoy swimming, hiking and award-winning golf, but a day at AMBA Health & Beauty Spa offers a diverse array of treatments, including Massage, Reflexology, World Renowned Guinot Facials. Deluxe Manicures, Aroma Wax Pedicures, Body wrap & polish, and specially designed Signature Amba Spa Packages to immerse you in a state of deep relaxation. Feel free to let our staff spoil you! We love it! As owner and operator of Amba Health and Beauty Spa, Corrinna MacConnell was educated in Europe as a massage therapist & esthetician and has over 25 years of experience in the Health and Beauty Industry. While Corrinna specializes in holistic beauty therapy treatments, the Amba Spa provides an entire “cornucopia” of services to pamper your body and soul from head to toe. 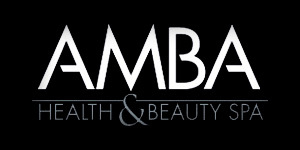 Come in and see for your self, the difference Amba makes.